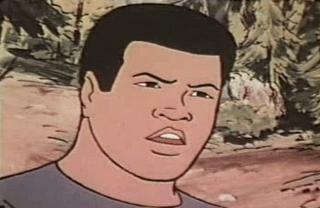 I Am The Greatest: The Adventures of Muhammad Ali starred the champ himself, animated of course, as an action hero. He and his crew would solve mysteries and bring bad people to justice not unlike most Saturday morning cartoon shows of that time. In the series, the champ also had the additional challenge of getting his young wards out of trouble as well. Muhammad Ali did his own voice work and so did his then real-life public relations agent, Frank Bannister. The show premiered in 1977. At the time Muhammad Ali was the heavyweight champion of the world, had an autobiographical, major motion picture released the same year, and even a song dedicated to him, (“The Greatest Love Of All” sung originally by George Benson). None of that seemed to help the cartoon though. 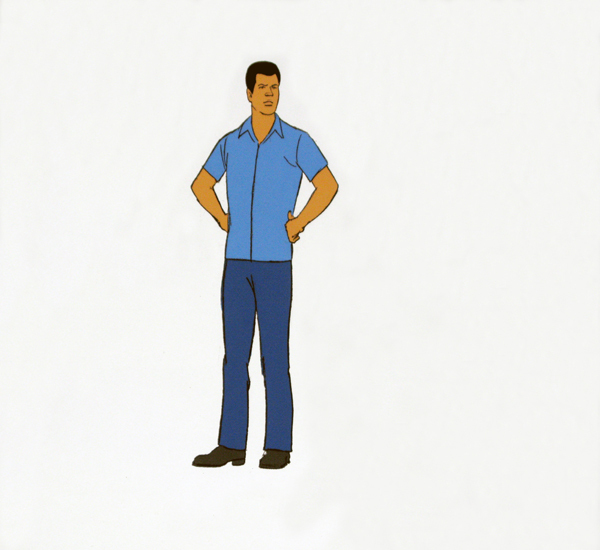 It lasted for only 13 episodes, one season, and ended in September of 1978. The music was great. Here’s a decent sized clip of one of the episodes. In this one he’s actually an astronaut.